William Bray designed what is perhaps Duluth’s most impressive example of Georgian architecture for William Olcott when Olcott was president of the Duluth, Missabe & Northern Railroad. Olcott would later become president of the Oliver Mining Company. The Olcott’s founded the Fanny Bailey Olcott Girl Scout camp on Half Moon Lake near Eveleth and donated the land for Virginia’s Olcott Park. 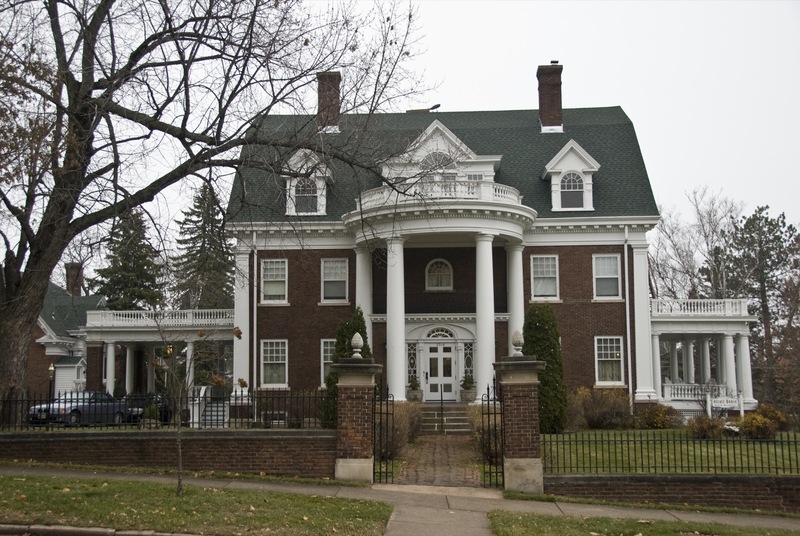 From 1939 to 1960 the house served as the University of Minnesota Duluth’s Music Conservatory. 21 N. 21st Ave. E.